We see the strengthening of the US dollar in relation to many financial instruments, which, in principle, we expected and that is the main focus. However, for new positions it is better to wait for good prices. That is, we should see corrective movements in the market, after which we have to work again with the main direction. There are two areas on the main currency pair. The first is 1,1320-1,1370, it is wide and strong. And we assume that with a more or less strong correction, the price will come precisely in this area, from where we will look for opportunities to sell in the direction of yesterday's minimum. And the appearance of the price above 1.1370 will speak about the end of the downward trend. But there is also a small intermediate area 1,1285-1,1260. This is actually the upper limit of the current balance. 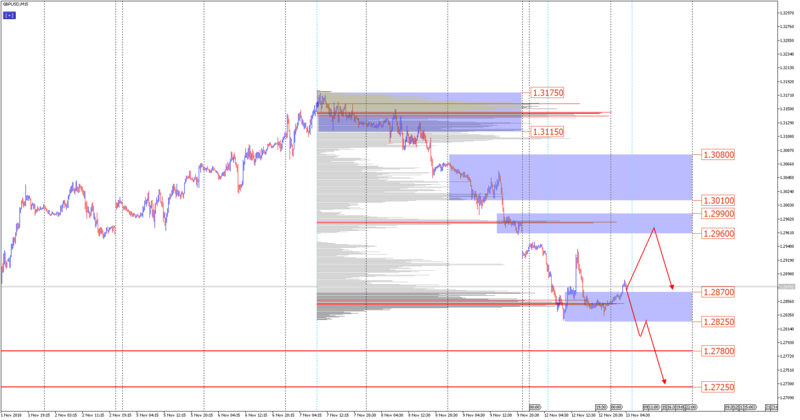 If the downward trend on the pair is strong, then the appearance of the price above 1.1285 is unlikely, therefore, traders who consider themselves to be risky can consider the probability of selling from the intermediate zone with the goal to yesterday's minimum or with a view to further updating the minimum. This pair has a lot of fundamental news. Today we generally learn about the likely cancellation of the next summit, where Brexit agreements must be reached. However, the technical picture tells us about the high probability of a further fall. The areas where you can consider entry points for sale are 1,2990-1,2960 and 1,3010-1,3080. Accordingly, we assume that the best idea is to wait for corrective growth in these areas, and then expect a decline in support of 1.2870. However, there is an alternative scenario. This is another manifestation of the sellers' initiative, a breakdown of 1.2825, after which the correction can also be sold with targets 1.2780 and 1.2725. For this instrument, we see a confident structure of the downward trend. And more importantly - you can see the presence of large volumes that are above the current price. They are in the price range of 1207-1213.50. 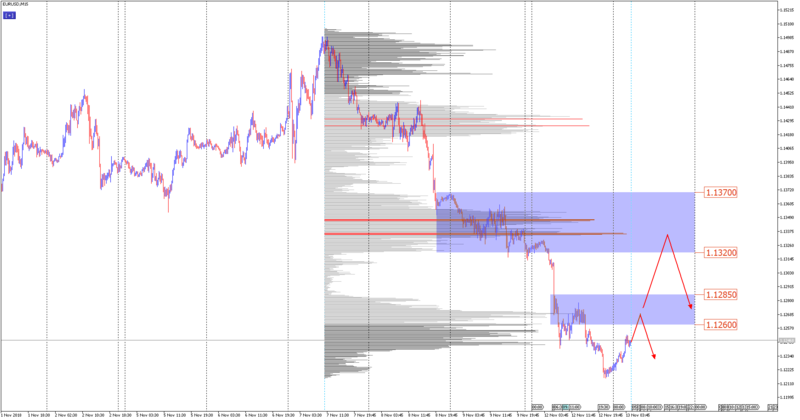 We can assume that there is an open interest of sellers in this range and we expect the price to react and hang down. The appearance of prices above 1213.50 is likely, although not great. However, this fact will tell about the complete cancellation of the scenario with sales and the development of large flat movements, which in the framework of the current day it does not make sense to consider. 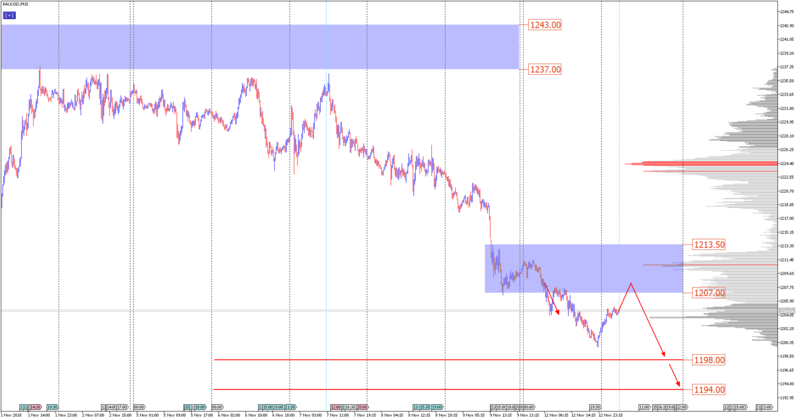 The target for the fall, we can take the levels of 1198 and 1194.